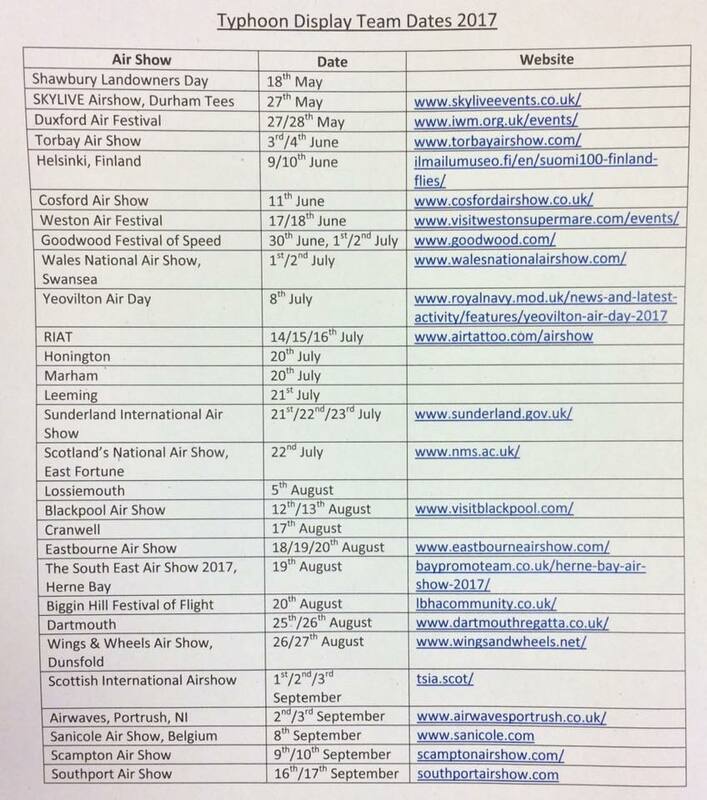 The Team will perform in twenty-eight airshows this year, only one outside UK. 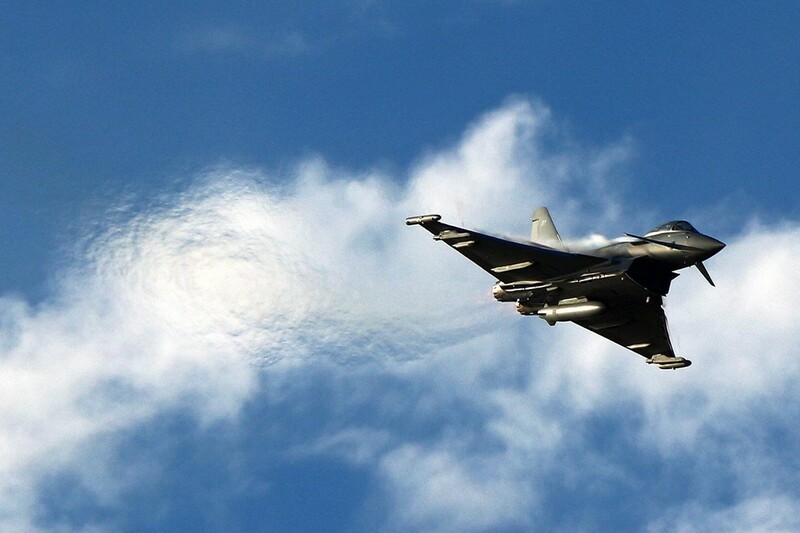 The RAF Typhoon Display Team has the role to demonstrate to general public the skills of the Royal Air Force. Every member of the team has been hand picked from what is already an elite cadre of skilled personnel at RAF Coningsby. They have proven themselves in their day jobs and are now privileged and proud to represent the very best in excellence and dedication that the Royal Air Force can offer. The Typhoon is famous for being a highly manoeuvrable and powerful fighter jet, the current display pilot Lieutenant Ryan Lawton will show people the amazing performance of one of the most advanced aircraft in the world! The 2017 season includes Duxford Air Festival, Cosford Air Show, Yeovilton Air Day, RIAT and many more. 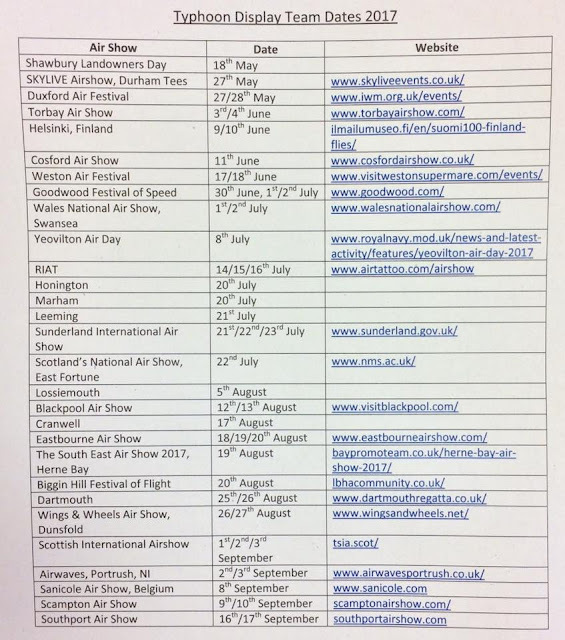 The only performance outside UK will be at Sanicole International Airshow.